Black gold can change a town forever—even more so when it’s accompanied by the construction of a new pipeline. Tioga, ND, is poised to become a significant pipeline hub by 2017, serving as the start line of Enbridge’s new Sandpiper Pipeline. The $2.6-billion project ($1.3 billion in MN, WI, and $1.3 billion in ND) interstate crude oil pipeline will span 600 miles from Enbridge’s Beaver Lodge Station south of Tioga to Clearbrook, MN, and then onto an existing company terminal in Superior, WI, and is anticipated to move 225,000 barrels of oil per day, more than doubling current Enbridge pipeline exports in North Dakota. Tioga has experienced a population influx since 2010—from an estimated 1,300 to today’s conservative estimate of 2,500—and projections show the numbers will continue to rise. 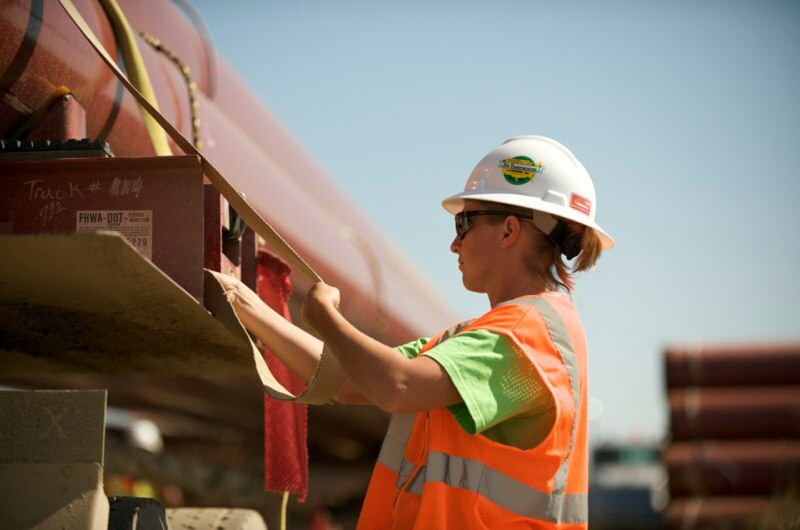 Between 200 to 450 workers are anticipated to work on the Sandpiper Pipeline during peak construction of the two-year construction contract. Koch, who moved here with her fiancée, an oil-patch worker, stresses the importance of retaining workers and their families through infrastructure and commercial development. Currently, the city is working to expand its current wastewater treatment plant; the city’s lagoon was recently redeveloped in 2014, while supplementary water infrastructure is on the books. Housing is naturally top of mind, with ongoing construction of multi-family housing and single-family homes. A fourth extended-stay hotel just reached completion (three have been constructed since 2012), and Koch reports a rise in RV parks, a popular housing option for individuals coming to the area on a work hitch. “We are already, in the city of Tioga, playing catch-up to the 2012 oil play, and so as the Sandpiper Pipeline moves forward, it presents the same infrastructure needs we’ve needed for the past couple of years,” Koch adds. Additional developments, such as a new community center with an indoor track and pool, are expected over the coming years. “Statistics show that the majority of people who have moved here to work within the oil play intend on leaving in five years—and we have to ask ourselves why, and how do we get them to stay?” shares Koch. “Our grade school has doubled in the past few years, and you see quite a few young families walking on Main Street. Part of my job is to give those wives and girlfriends a reason to move here. Enbridge confirms that the new pipeline is on track for a 2017 completion, pending permits, and will proceed despite fluctuating oil prices. 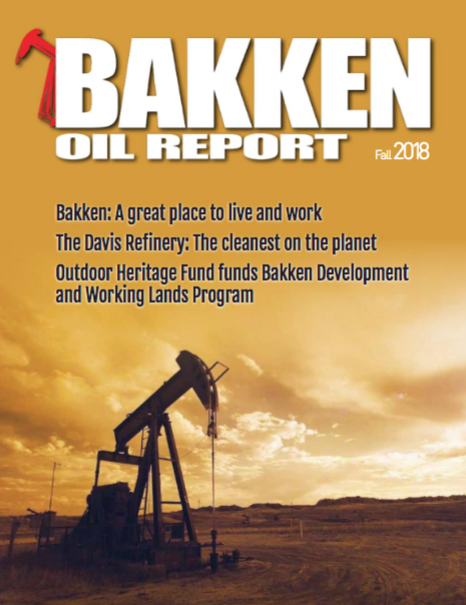 “Wells in the Bakken region will continue to produce crude oil for many years to come. As long as there is commodity in the region that needs to be moved, the need for pipeline infrastructure, like Sandpiper, will be in existence,” says Katie Haarsager, ND community relations advisor, U.S. Public Affairs Liquids Operations, Enbridge. Actual construction of the mainline system will be broken down into segments and constructed simultaneously, while work on the stations and tanks will occur as needed.